56 fun, fast, and delicious recipes from kid chefs for the whole family to enjoy together! As part of former First Lady Michelle Obama’s Let’s Move! Campaign, the Healthy Lunchtime Challenge invited kids across the United States to submit their own tasty, healthy, and creative lunch recipes. For five years, winners were chosen from all fifty states, as well as each of the territories and the District of Columbia, to create delicious and distinctive cookbooks full of nutritious, kid-tested and kid-approved lunchtime meals. 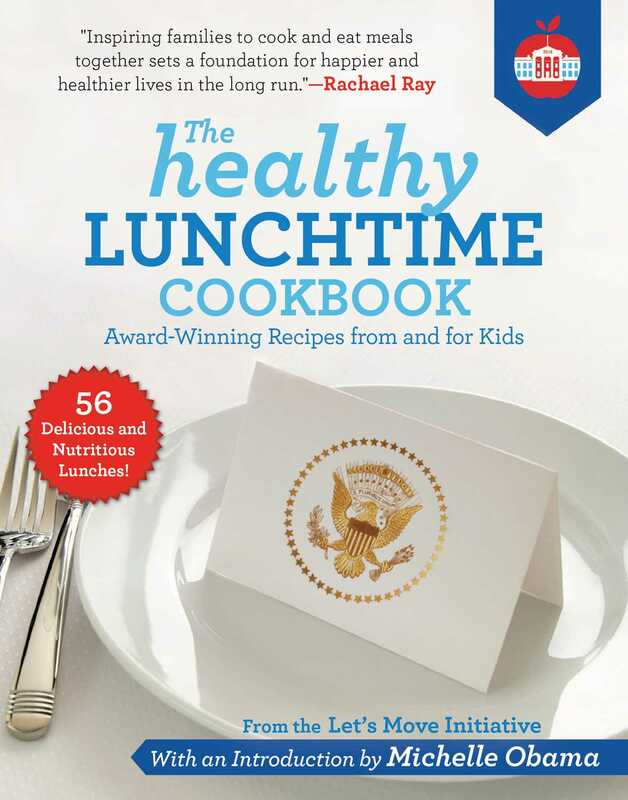 Now, The Healthy Lunchtime Cookbook brings you fifty-six of the best Healthy Lunchtime Challenge Recipes from kid chefs around the country. In these bright pages with full-color photographs, you’ll find terrific recipes for a variety of kid-favorite foods, including American Flag Ravioli, Watermelon Salad, and West Wing Chicken with Secret Service Noodles! Every recipe has been designed to be budget-friendly, healthy, fun, and delicious for kids and adults, so they’re sure to be hits with everyone.